Do you ever sit in front of your computer with no blog content ideas? Even though you are knowledgeable in your niche market, your mind is a blank when it comes to figuring out what to write about in your next blog post. Almost every blogger goes through the same thing. How To Finally Locate Your ‘Blog Money Topic’ And Create Your First Profitable Online Offer! It’s difficult to write blog content when you don’t know what to say. Have no fear. Today I have 5 ways on how to get ideas for blog posts. 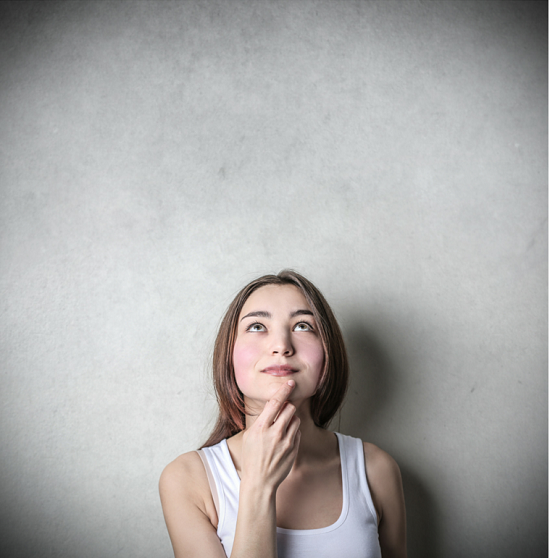 Have you ever thought up a great blog post idea only to forget what it was hours later? That has happened to me too! Keep a swipe file of ideas on what to blog about. I have one on my computer and my phone. You never know when an idea will pop into your head. You may see something online or talk to someone and suddenly an inspiration hits you. For example, I keep a growing list of topics on my Android phone using Google Keep. You can sync between your phone, tablet and computer so the list is always accessible. There are other online resources available like Evernote and Curator. And of course, paper and pen work great too. What is your target audience interested in knowing more about? You can find out more about that at Udemy, an online learning marketplace . With over 40,000 courses on hundreds of topics, you can zero in on the popular topics in your niche market and see what people struggle with the most or just need more information about. Here’s are 2 ways to find interesting topics for blog at Udemy. Head over to Udemy and click Browse Courses. A list of main categories appears on the left. Find the topic that relates most to your target audience. 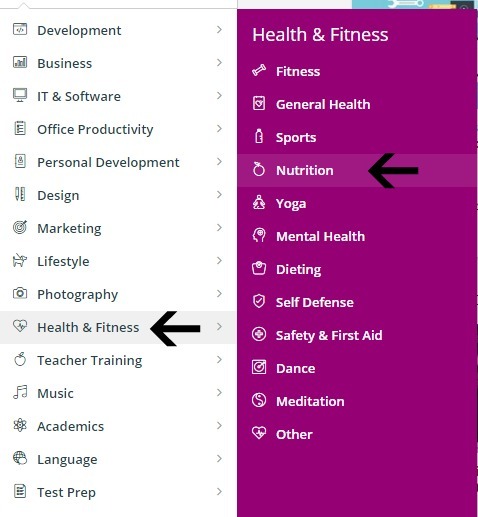 For example, if your niche is health related, choose Health and Fitness. From there, drill down even further. In this example, select Nutrition. If the featured courses appear, just click All Courses. Now sort the list by Popularity. Click the first and most popular item in the list. Look at all the training topics in this course. There are some great ideas for blog content that you may not have thought about before. Have you ever used Google Auto-complete? 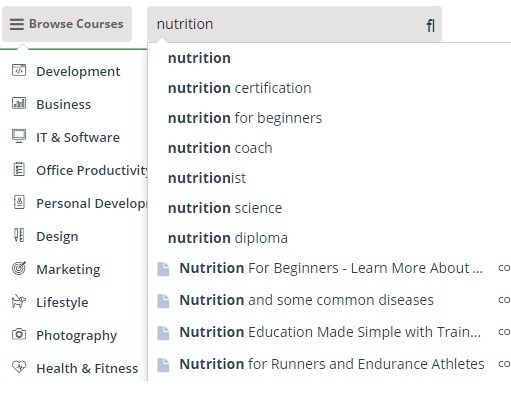 Well Udemy has a similar feature in search to find terms that others are actively searching for. The more popular searched terms appear first in the list, with less popular near the bottom of the list. Start typing a term or phrase in the search box. A list appears with similar terms. As you continue typing the list updates. 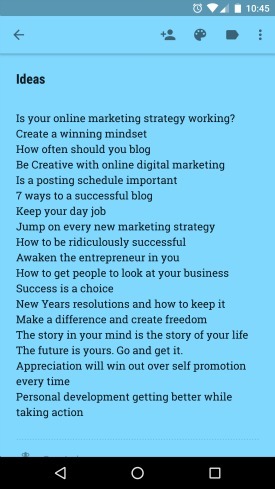 You can either jot down some of these ideas for blogging or drill down though some of the courses that display in the search results. As you go through various topics in Udemy courses, you’ll get some positive mojo to get your creative juices flowing for topics to blog about. Video: How to get great blog topics. What are the top keywords being searched for that your website ranks for? This is valuable information for you to find additional blog topics to write about. If you write blog posts that never get much tractions, perhaps those topics are either not a good fit for your audience or you haven’t done a good job of providing quality information. To find the topics that are getting the most attention on your website, check your Google Search Analytics report. You’ll get a list of hundreds of top keyword terms for any given period within the last 90 days. Using the Clicks, Impressions, CTR and Position features, you’ll get a good idea of what blog topics are getting the most traffic on your blog. You’ll also get some insights as to what your target audience is most interested in. Do more of it! Download that information and do some keyword research around those topics to get some fresh topics to blog about. Do you frequent online forums, groups or communities? This is the perfect opportunity to discover what people want to know more about. Have you noticed that the majority of the time people in online communities have questions? They are looking for answers on just about any topic you can imagine. By following a few simple steps, you can get blog post ideas just by checking out the most popular posts in online communities. Find active forums, groups or communities. Find forums in Google by searching on your main topic + forum. Find Communities in Google Plus. Visit the ones with recent activity around topics in your target market. These are posts that will be near the top. Look for the questions and more important the answers. These can inspire new blog content ideas for you. Are you in a business where you get customers and leads? If they left a phone number when they opt-in, give them a call. This is the most insightful method to get topics to blog about. This has helped a great deal in truly understanding what my target audience needs to learn more about to help solve their problems. While using the aforementioned methods works like a charm, talking to real people is like having a direct line to topics. Another method is if you have clients, what are they asking you to help them with? Chances are, they are not alone. You can create valuable blog content around the topics that matter most. Finding fresh blog topics can be a challenge. I’ve given you five ways to consistently get great blog topics to write about so you don’t sit too long in front of a blank screen. Which of these resonated with you and what other methods do you use? Wow what a fabulous post. There will be so many bloggers out there who should be payng you a fee for providing such an innovative solution to one of their biggest challenges – “what can I blog about?”. I just loved this post and found a real gem that I gratefully thank you for – Udemy! I never thought of using this as a source of blog topics but you very clearly showed exactly how to do this – and for sure that’s what I will be doing in future to build up my own swipe file. Speaking of swipe files I know I’m showing my age and lack of tech skills but I keep all my ideas ona simple word doc! But hey it works for me. With the forum research I use FAQFOX – just google it – as this neat little free website saves you so much time in researching the forums for current and trending topics. I have two other ideas that you and your readers may find helpful when it comes to identifying potential blog topics. Firstly the Amazon Book reviews (especially the negative reviews that uncover what people are really seeking) – just pick the niche your are interested in and these reviews reveal some fantastic ideas for blog posts. Secondly the “Dummies” website (www.dummies.com) – when you get there click the “Shop for Books” tag and that will open up a whole range of categories of books they have created. These guys would only bother to research and create their books if there is a consistent need for such a topic. Sso just check out the category of your choice and then look at the range of book titles – you’ll get some great ideas from these. Thank you again Lisa for such a helpful post – I have shared it far and wide for you as so many will be so thankful to you. Hey Peter! Thanks so much for the visit and you awesome tips! Glad you like the tips here. As for the swipe file, whatever works is the best choice. I am not familiar with FAQFOX but will definitely check it out. That’s a tip that’s going to help so many people. Amazon! What a great idea. I’ll definitely be incorporating that one the next time I find myself in front of that blank screen with no blog post ideas. I never would have thought of the “Dummies” website. 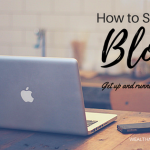 I may have to create a whole other blog post after I gain some experience with your fabulous blog post ideas! Some great ideas here thanks. I’ve been a journalist and freelance writer for many years and I still find the most difficult part is to come up with a topic. This will certainly help. Hello Igert and thanks for stopping by. Glad you got some ways to get ideas to write about. Thanks for your post. I can especially identify with using a swipe file. There has been several times when lying in bed and think of some great content. I would be asleep sometime and do it in my sleep. But when getting to the computer. Nothing! After reading your post I will be taking my phone to bed with me and use the note app. Great idea. So simple. Here’s wishing you great success. But I never do. Enter the swipe file! That’s a great list of tips for coming up with blog topics. I tend to save my blog post ideas as draft posts within WordPress so that I can quickly jot down a few notes and come back to them later, however something that easily syncs across other devices – and can be used for notes beyond WP is of interest, so I’ll certainly be looking at Google Keep and Curator. As a variation of calling customers and leads, I have used the free version of SurveyMonkey to send them questions to complete online. And I KNOW I just don’t make enough use of everything that Google gives us – so slapped wrists for me there. So glad you found this blog post useful, Joy! What a great idea to use Survey Monkey to query your audience about their interests. I will definitely be putting that on my blog idea list. I’ve learned to make good use of many Google tools and it’s pretty seamless across all my devices. Happy Blogging and I hope to see you again soon. Yes, perhaps at times it is not easy to get ideas for blog posts. The ideas you have shared are very good and they are sure to help with our blogging experience, especially since we are very new to blogging. We are a married couple from Mumbai, India and we started blogging only in this month..
Congrats to you and your wife on starting your blogging journey! Hopefully some of these ideas will help you get some good topics to write about. Peter also shared some wonderful tips in his comment so be sure to read those. Have a beautiful day and happy blogging. Yes they will help us a lot Lisa. Nice blog post indeed. This is the topic that every blogger should read because sooner or later every blogger runs out of ideas. I too faced such situation, but then I started working Long Tail Pro keyword research tool. And every day I try to find at least 2-3 profitable keywords within my niche. And, then I make topics out of them. Apart from this, I scrap search queries from Google Webmaster tools to make some topics out of them too. The thing you mentioned about Udemy looks very promising. Thanks for this. Thanks Atish! Let me know how you like Udemy for blog post ideas. Good tip about using the keyword research tool and then scraping search queries. Have you also used Google autocomplete? It’s a good way to get more ideas that you maybe didn’t think of before. Hope to see you again soo. Happy blogging! I am yet to check Udemy. I will do it surely as you instructed, and share my feedback. Yes, I did use Google autocomplete, and those search suggestions at the end of the Google SERP. It is always great to learn new things. Hello Atish and happy to see you here again. So glad I checked out your blog, it’s a wealth of information! Nice work. I’ll be a frequent visitor for sure. Welcome to my blog Gurunath! So glad you stopped by. Glad you found some good ideas in the article. And thanks for your helpful post. All bloggers at some point struggle with content ideas. But you listed some good ones here, for sure. I like the fact you have included the last one – talk to people on the phone. Too often bloggers hide behind their computers and wonder why they’re not progressing. 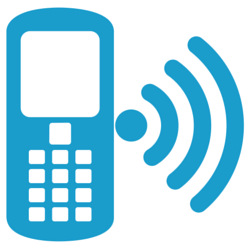 It’s always good to jump on the phone and talk to people, especially customers or prospective customers. They have no problems telling us about their concerns, pain points, but also about their wants and aspirations. Another idea I like is to check what others are writing about. So having a list of fav bloggers to watch is one way to do it. Another way is to subscribe to other marketers’ email lists. I always get new ideas from the emails I receive from other respected marketers. Thanks Kim, I appreciate your visit. Getting ideas for blog posts seems to be a common challenge amongst bloggers. I agree with you about hiding behind the computer. I did that for awhile myself and glad I got out from behind it. It’s so much more fun to talk with people. Thanks for that great idea! Seeing what others are doing can really inspired some fabulous blog topics. Have a amazing day and hope to see you again soon. I can’t believe that people still have issues with finding things to blog about but I guess because I’ve been doing this for so long that it’s never been an issue for me. I made a list of the things I’m passionate about helping my audience with so I always just look at that list, grab a topic and I’m off. Your suggestions are good though too and one more I’d like to throw in there is read other’s blog comments. Some people will share their frustration in the comment section so you know others are having the same problems or issues too. Never ending place for ideas that’s for sure. Great share, thank you so much and I’ll be sure to share this post as well. Have a great week. It does seem to be a huge challenge for many bloggers. You have a knack for coming up with great topics! I can usually figure out what to write but on those days that I feel uninspired, these tips do help a lot. Thanks for the great idea about reading comments! What a fab way to drill down into what challenges people are facing. Really appreciate you stopping by and have a super day! This is a fantastic article on getting blog post ideas! I know I sure struggle with coming up with new idea’s sometimes even though I already use some of these idea’s. For example, I keep a blog topic swipe file similar to yours. The thing is, somehow I like my idea’s better when they’re fresh — so the list barely ever gets smaller. I should just use them sometime, I just looked through my list and there’s plenty of inspiration. Google Analytics is also a good one, easily overlooked by many bloggers. 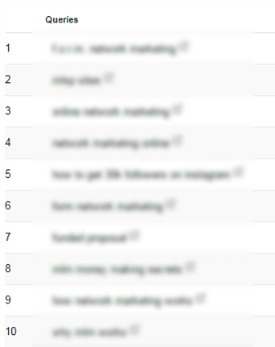 I also like to look at my most viewed pages because it gives you a good idea of what kind of content people like. Forums are gold because people already hand you the questions. These are the ones you should write about. I like the last one, too. I’d also shoot all my subscribers a simple e-mail asking them what they struggle with most. This usually reveals a lot. Thanks Jasper! So great to connect with you again. Keeping a list is so handy. Glad you are getting some good use from yours. 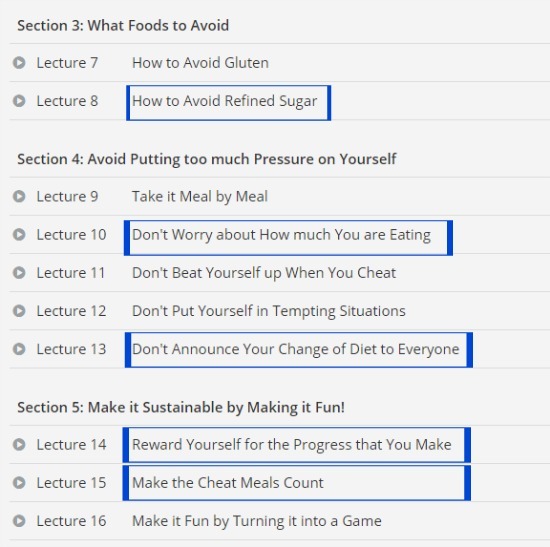 How did you like the Udemy courses? I was considering taking one but would love a recommendation. There are some fantastic ideas there for topics that people want to learn about. Great idea to send an email to subscribers. To add to that, have you ever tried that with a link to a survey? Thanks again for stopping by! See you again soon. Same here 🙂 always good to connect with you. Udemy is just the platform, but there are a lot of solid courses on there. I can highly recommend this one: https://www.udemy.com/writing-for-business/. I’ve never tried it with a survey, but I’m sure it will get responses just as easily. I have filled them in before to help others out! Thanks for your reply Lisa, have a great weekend ahead. Excellent post Lisa! I know lot of people who do not have any idea what to write and where to find a content. Thank you for sharing! Thanks so much Hrvoje! Glad you enjoyed it. This are really good tips on getting new blog post ideas. For your first way, I really like using Evernote. Like you, I often have ideas pop in my head at odds times, and it is great that I have Evernote installed on my smart phone, so that right away, I can record or jot my idea down. As, I probably won’t remember later if I don’t. Your second way, using Udemy, is a great idea, as I would not have thought of that myself. I have taken classes as well, and I can now see that it would be a good source to see what courses are the most poplar to get the blog post ideas from. I think this goes to the point of solving a problem for someone. On way 3, I have never really used Google Anaylics for this, but I can see if would be a good idea. Way 4, forums and groups, I have used this method before for research. You can go to these places and just ask a question, and see what responses you get, then a blog post may come out of that. And finally on way 5, I have to admit, I am not very good at this. I think call people can be very difficult for most people. This is something I have to work on myself, as I would like to start doing his as well. Again Lisa, these are 5 great ways to get ideas for blog posts. Thanks for sharing these with us and I will be off to share them as well. Thanks for your comment! I haven’t used Evernote but hear great things about it. We often can’t control when the best ideas show up so best to record them. I’ve not taken classes at Udemy, I just find inspiration and ideas there. Were you happy with the classes you took and was it worth it? Calling people can be a little uncomfortable at first but I found out something interesting. People are usually happy to hear from me, especially if I am asking their opinion about something or finding out more about them. That’s really a very useful post. I specially liked the UDEMY idea, I have some courses on udemy but never thought to pick some topics to write about from there, special thanks for that unique tip. I also use Reddit for the purpose, like one of my recent posts was based on the response I got on Reddit. What I did was created a new topic asking a question, readers came there and posted their opinions, based on that survey I crafted my new post. Hi Karan! You are welcome. Thanks for the tip about Reddit. I’ve not used it and yours is a fantastic idea! Thanks Keith! I appreciate you taking the time to leave a comment. Do stop back and let me know how your blogging is progressing! This is truly a great idea.. I usually take the ideas from quicksprout, i did not know about udemy. It is very brilliant idea to get ideas for blog post. Thanks for this post lisa. I totally agree with you it’s a great idea to improve blog post.thanks for sharing such a great idea..